Optimus | The Air Geeks, reviews of air conditioners, dehumidifiers and air purifiers. Optimus Enterprises Inc. is a home comfort appliances manufacturer that produces household appliances to enable users to have total control of their indoor environmental conditions. Unlike many of its peers who specialize on one or two or three products, Optimus provides many categories including heaters (indoor and outdoor), fans (domestic and industrial), air purifiers, humidifiers, accessories such as HEPA filters, and other items such as heated jackets and shavers. The company was founded in 2009 and has its headquarters in Anaheim, California. Optimus enterprises produce a number of air purifiers with the most popular one being the AP-07 model. This air purifier is dishwasher safe, easy to clean stainless steel filters. It also comes with a permanent filter. This should save you money as there are no expensive filters required. The ball-bearing motor enables 3-speed control of the fan. A programmable timer enables a 2, 4- and 8-hours fan experience. If you forget to clean your filter, a built-in monitor system will notify you when it’s the right time to clean. This air purifier uses only about 45 watts, making sure you don’t have to worry about huge bills. There is added protection that makes sure 99% of the bacteria and germs are removed by passing the air through a UV light chamber before it is released into the room. You are provided with two extra UV lamps for every purchase. 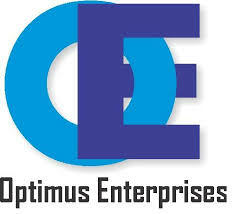 Optimus Enterprises produces all kind of domestic and industrial fans to suit different needs. These include Clip-on fans, convertible fans, stand fans, combo pack fans, window fans, antique fans, air circulators, and USB fans. If you are looking for an all-metal antique copper design, you can have a go at their model F-6122. This model offers full 90-degree oscillations to ensure air is moved much faster and more effectively. There is no assembly required in order to start using this fan. The motor is energy saving and produces keep noise low while operating. There are also clip-fans that can come in handy especially if you need to place one on your gym equipment to provide a breeze while working out. These include the F-0600, F-0640S, and the F-0702 models. Below you will find our reviews for the best air products by Optimus Enterprises Inc.. Thank you for visiting the Air Geeks!